Seamlessly integrate highly relevant recommendations in a responsive ad unit to earn more. 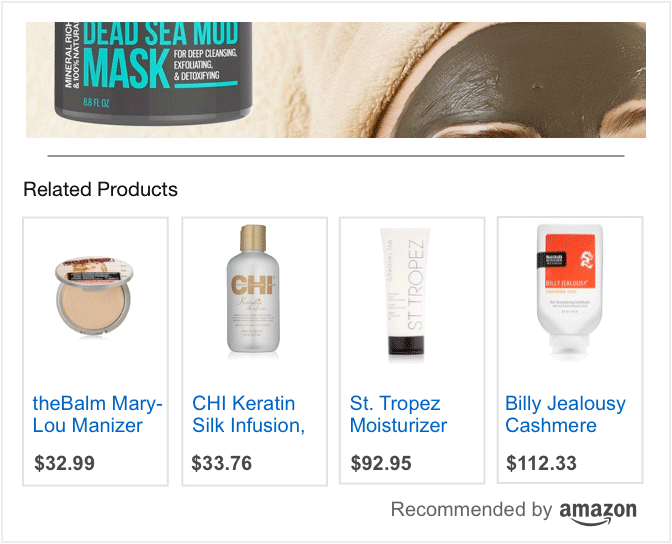 Place Native Shopping Ads in product article pages to automatically display relevant product recommendations from Amazon based on your page content and visiting users. It's mobile responsive so you can place it at the end of content and it will adapt based on the page container and device type. 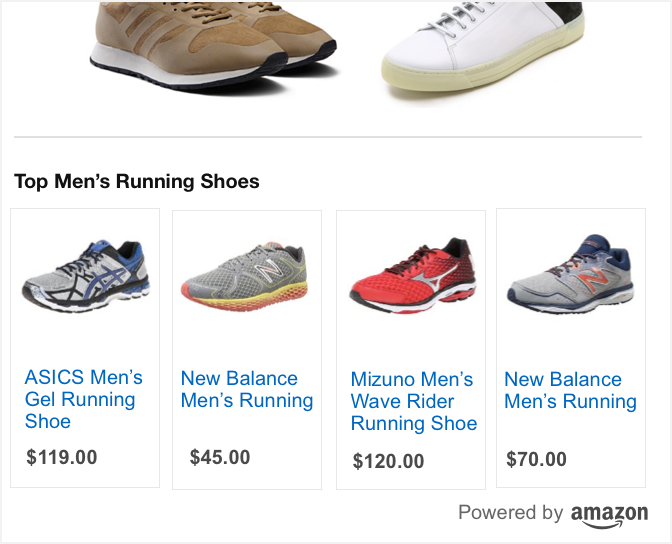 Native Shopping Ads allow your visitors to take advantage of search results from Amazon directly on your website. 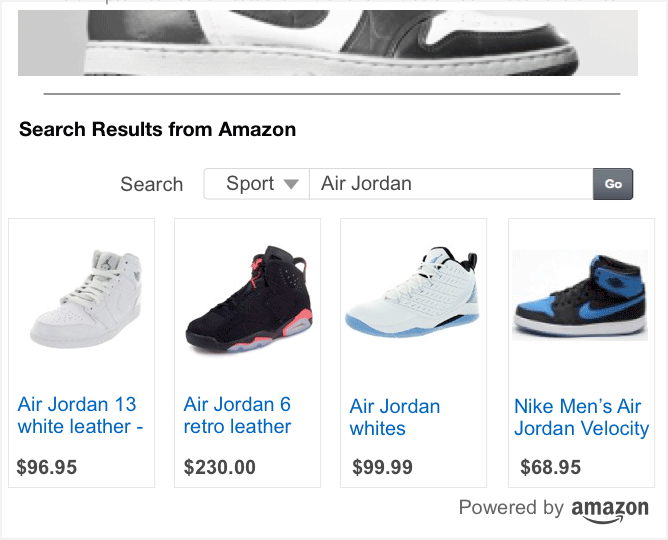 Include product recommendations based on search phrases or key words selected by you or entered by your visitors. Handpick your favorite products that you would like to promote and place the ad unit within your product article posts. It is flexible, elegant and adds to your content. Eg: My favourite cameras for 2015. "I have been extremely impressed with the performance and the product relevance of Native Shopping Ads. It is easy to install and integrates very nicely with my website design (both desktop and mobile). The incremental revenue has allowed me to invest further in growing my business." "Native Shopping Ads, placed on the bottom of our articles, have performed well. The native ad blends well with our content and does not look like an advertisement which provides value to users browsing our articles."